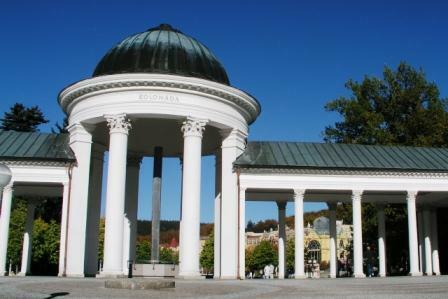 Mariánské Lázně is known for its wealth of mineral springs, forty of which seep out in the town itself and nearly a hundred in its closest environs. 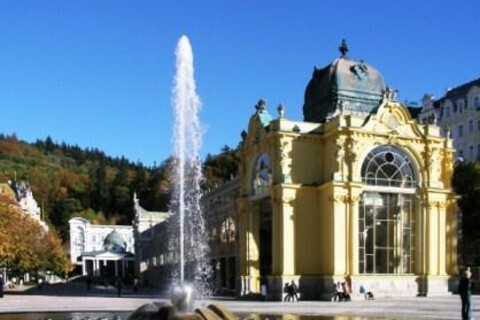 The main spa promenade and prominent landmark is the pseudo-Baroque cast iron colonnade from 1889. 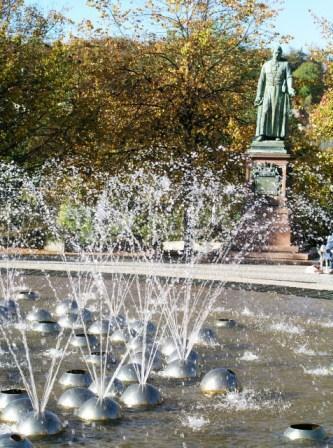 The water from the Křížový, Karolina and Rudolf Springs is piped into it for drinking cures. 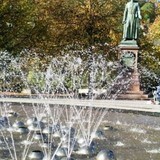 In front of the colonnade, the Singing Fountain attracts wide attention. 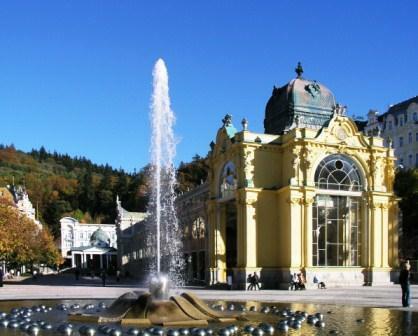 The Ferdinand, Lesní and Ambrosius Springs are some of the other more well-known springs. 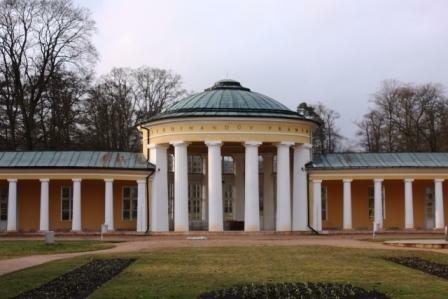 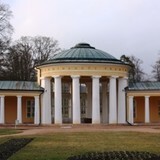 The spa pavilions are predominantly built in the Classicist and Neo-Renaissance styles, and the majority of buildings in the town’s spa district have Art Noveau elements. 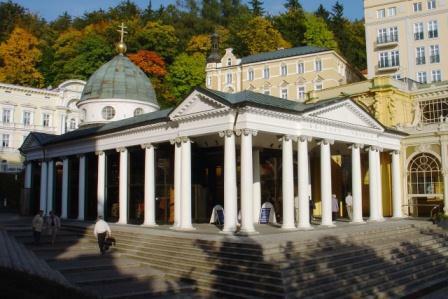 Exhibits in the Town Museum are dedicated to the spa town, mineral water and geological development, and the adjoining Geological Park features the heterogeneity of the rocks of the Slavkovský Les Mts.